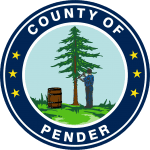 It is a listing of Pender County Residents that have special medical needs who may require assistance in finding shelter or transportation during disasters such as a hurricane. The registry provides county staff with contact information for special needs individuals before an emergency to ensure they have a safe place to go and a way to get there. The information you provide will not be released or used for any other purpose. Being listed in the registry does not mean that you have to go to a shelter; in fact going to families or friends homes is encouraged. • Medication regimes including intramuscular injections, bolus tube feeding, indwelling urinary catheters, ostomies, wound care, etc. Residents with uncomplicated, stable conditions who are ambulatory or wheel chair mobile are not eligible since they can be accommodated in general population shelters. Residents with unstable, potentially life-threatening conditions, behavioral problems or those requiring advanced care like ventilators or intravenous therapy should make arrangements through their physician for admission to a hospital or nursing home during hurricanes. Each case will be evaluated individually. Residents not accepted for the registry will be notified and given a chance to provide additional information they feel supports their need. Residents of Nursing Homes, Assisted Living and other group homes will not ordinarily register because these facilities are required to provide safe shelter for them. What Will the Registry Do For You? When disaster warnings are issued, you will be contacted to ensure that you have an emergency plan in place and that you are able to act according to that plan. In case of a countywide mandatory evacuation, if you are registered you will be informed of shelters in other counties and transportation arrangements. Special Needs individuals needing shelter will be hosted by nursing homes or assisted living facilities that volunteer their services to the county. Individuals may be charged if they request and are provided special treatment or supplies by the host. Individuals placed by the county will have no choice among the facilities and must go to the facility assigned. All efforts will be made to assign you to the shelter most suited to your condition and location. As with all shelters, you will be offered limited services, a safe space with food and water. You will be required to have a caregiver who can stay with you in the shelter and provide care and treatments normally done in your home. You must bring medications, clothing, bedding, and other supplies. Space in the shelter may be on the floor, on a cot, or in a bed depending on what is available and your condition. Electrical power will be provided for medical equipment. These facilities may have support staff that can help your caregiver with some care. There may also be a nurse available for emergencies. Please fill out the online form by selecting the button below.